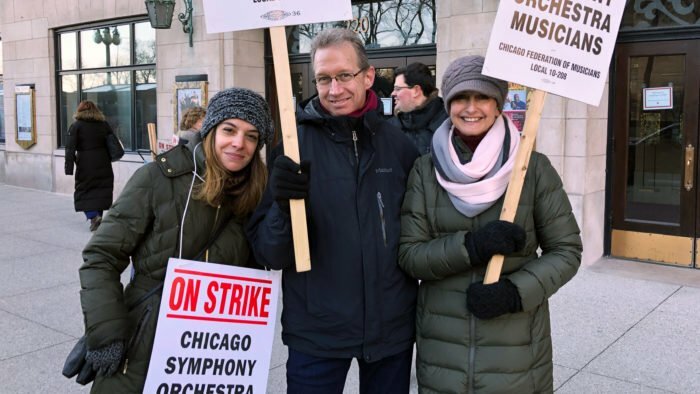 The Chicago Symphony Orchestra strike will persist, as the musicians’ union rejected management’s latest proposal late Monday night. 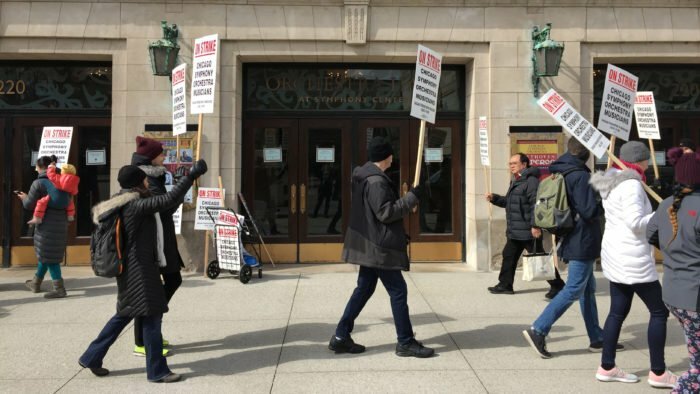 The nearly month-long work stoppage began on March 10 a minute before midnight when negotiations between the Chicago Symphony Orchestra Association and the Chicago Federation of Musicians reached an impasse. The two parties failed to agree on the type of the musicians’ retirement plan and the size of salary increases. 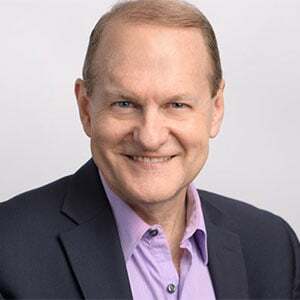 The association aims to move the musicians’ retirement plan from a defined-benefit plan (a classic pension fund, managed by the association) to defined-contribution plans (401(k)-type accounts, managed by the individual musicians). 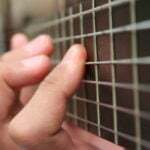 The proposal that the musicians rejected yesterday attempted to smooth the transition by offering individual musicians the option to delay the change for three years, making additional defined-contribution payments and instituting an investment-protection feature to reduce individual risk. 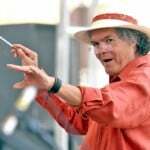 “We are extremely disappointed that management refuses to hear the musicians’ concerns about a secure retirement for the musicians and a secure future for the CSO,” said Steve Lester, a bassist in the orchestra and chairman of the musicians’ negotiating committee, in a statement released after talks broke down on Monday evening. 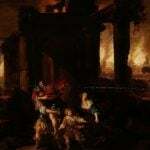 The CSO Association called this latest proposal their “last, best and final contract offer” in their statement. 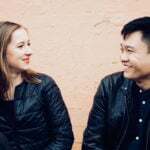 The musicians’ most recent proposal would have retained the defined-benefit plan, but attempted to address the association’s concern about ballooning payments to the pension fund by capping management’s contribution. The two sides remain far apart on salary increases as well. The association’s rejected proposal would have increased the base salary by 2, 2, 2, 2.5 and 3 percent over a five-year term. 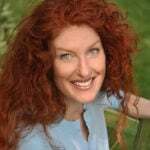 Previously, the association had offered 1, 2 and 2 percent over a three-year term. 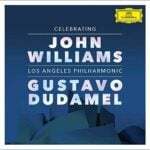 The musicians responded with a chart showing that the association’s proposed schedule of raises is less than or equal to the scheduled raises in the contracts of the orchestras of Los Angeles and San Francisco, both of which already pay more in base salary than the CSO. 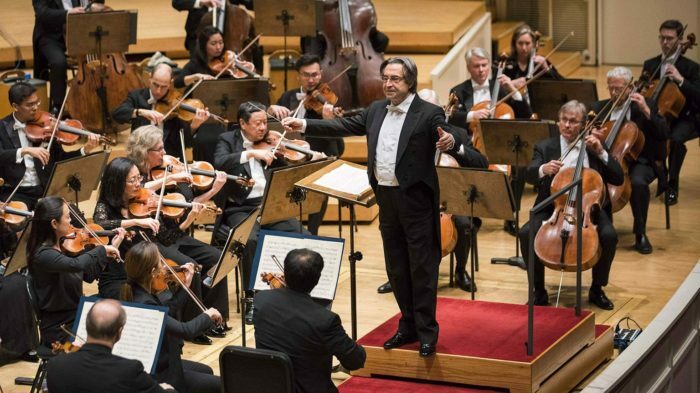 Cited by authorities such as Gramophone magazine as the best orchestra in the United States, the CSO ought to earn the most, the musicians argue. No further negotiation sessions have been scheduled. 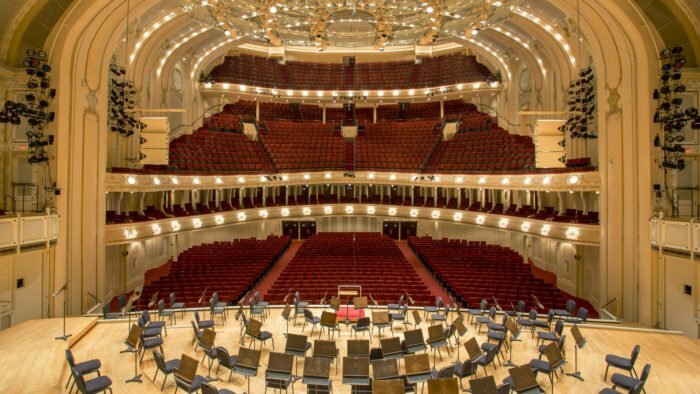 All Symphony Center events from March 11 through today have been canceled, including four weekends of subscription concerts. 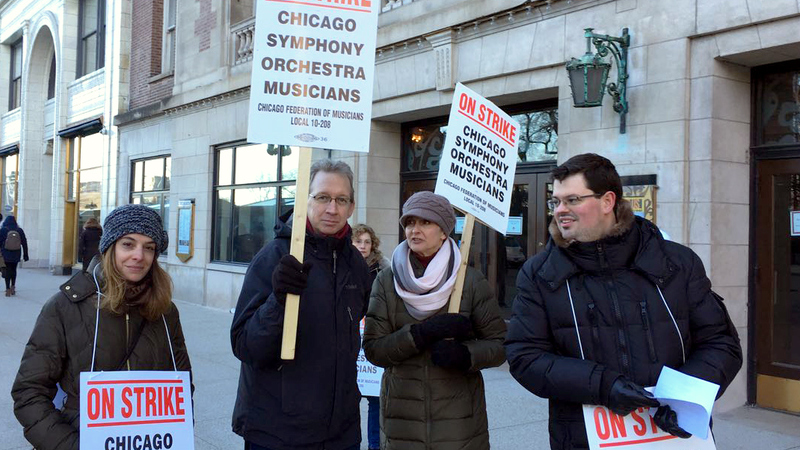 During the strike, CSO musicians have played a series of free concerts. 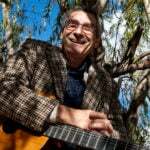 Three free recitals take place during the next week at venues throughout the city. 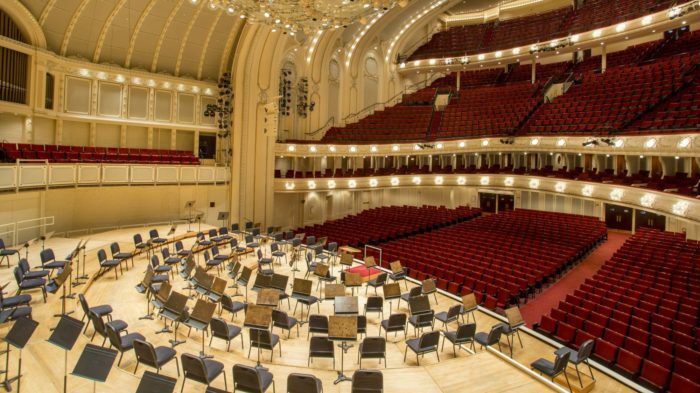 Editor’s note: The Chicago Symphony Orchestra Association is an advertiser on WFMT.